The feed level in the pan can be adjusted manually to suit your needs. Attached metal hanging bracket included. Made of impact-resistant plastic that won't rust or corrode. 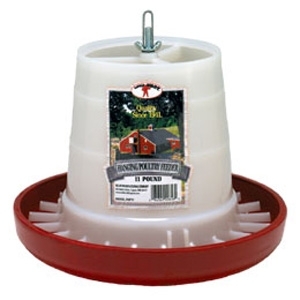 12 inch diameter by 11.5 inch high, holds 11 pounds of feed.